Sawtelle and Olympic is a popular hang out amongst the UCLA asian community. Ramen, sushi, curry, boba, crepes or homecooked Japanese meals, amongst others are the usual stops. 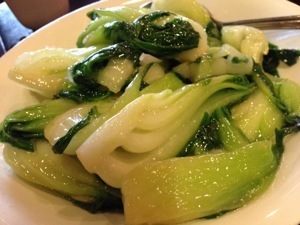 My favorite is Little Hong Kong and we have been ordering these dishes for good, inexpensive and delicious food. 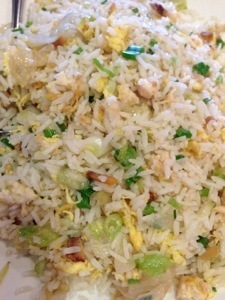 Salty fish fried rice, deep fried pork chops and garlic bokchoy or ongchoy @ $36 for two people. 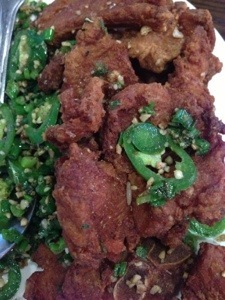 This entry was posted in Happiness Under $20 and tagged asian, food, restaurant. Bookmark the permalink.